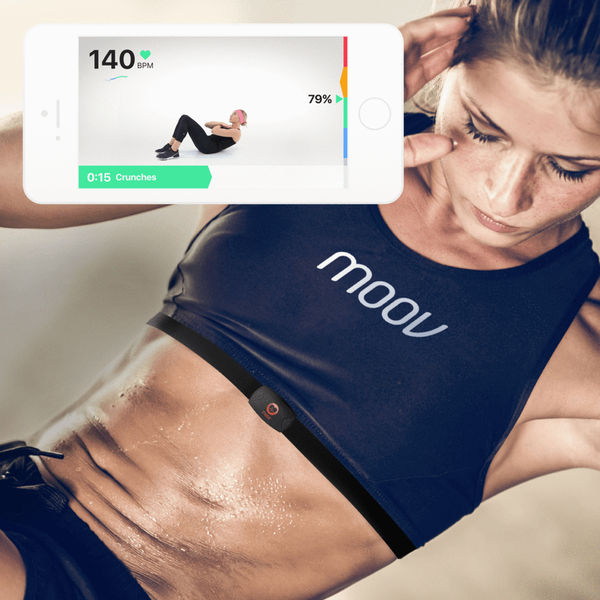 MOOV HR BURN is a smart chest strap able to track your heart rate ! You only need to wear it, then to connect to the application on your smartphone, and here you go ! 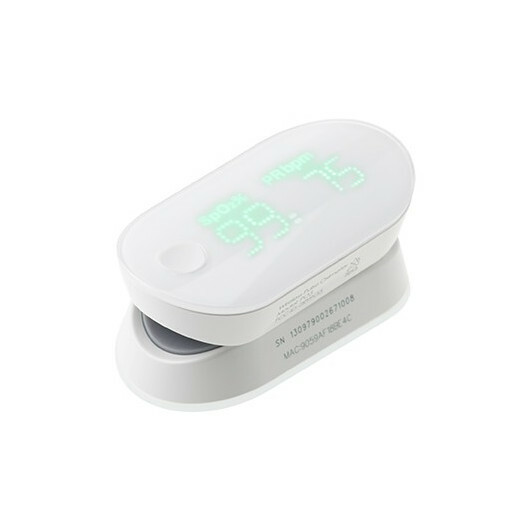 Strapped around your chest, MOOV HR BURN will record your heart rate. The recorded data will be sent to the application on your phone. 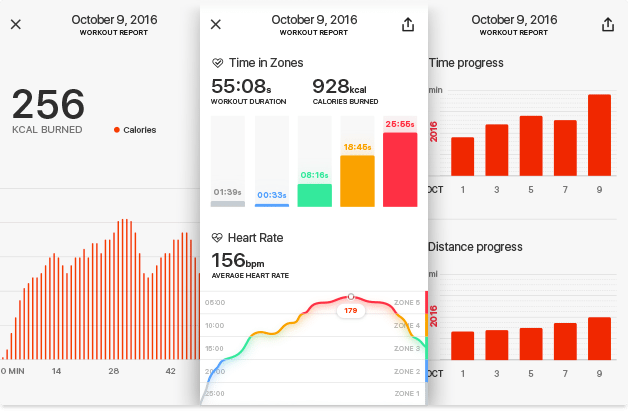 Thanks to these data, MOOV HR BURN will offer you a customized coaching, according to your skills. You are going to be guided all along your training, in order to boost you and to push your limits. Videos will show you the right movements to do. You are not used to work out ? 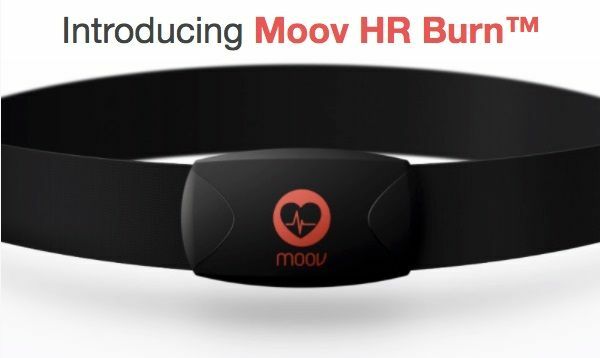 Don't worry, MOOV HR BURN adjusts to you and offers you several levels ! You will be able to improve ! Our smart chest strap is light, which makes it comfortable to wear. It won't bother you while working out ! MOOV HR BURN is also resistant : it is waterproof and sweatproof. It dries very quickly. However, it is advised to wash it regularly. 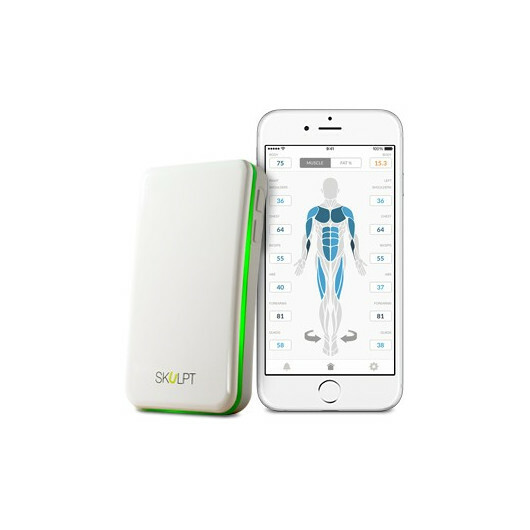 The battery lasts about 8 to 10 months. 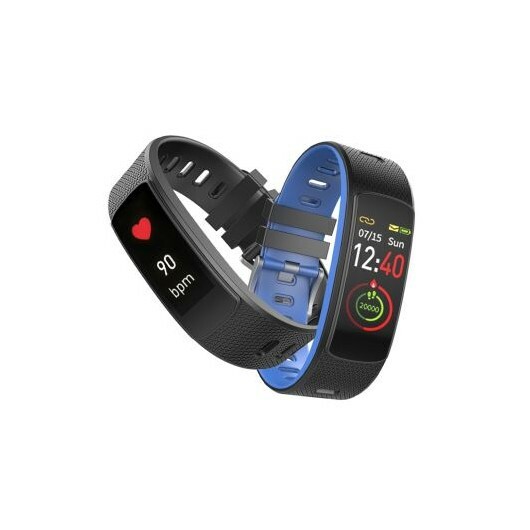 Is MOOV HR BURN waterproof ? Yes, MOOV HR BURN is waterproof. However, it is not advised to use it for swimming. The battery can last about 8 to 10 months. Can I use MOOV HR BURN with my smartphone ? MOOV HR BURN can be used with IOS and Android 4.4.4+. 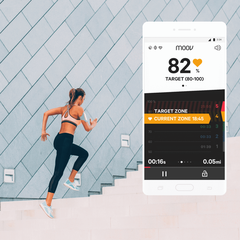 The Moov HR is a convenient and accurate heart rate monitor backed up by a great app and real-time coaching for HIIT circuits. Works great with the move app as one would expect, recordes very accurate heart rate.